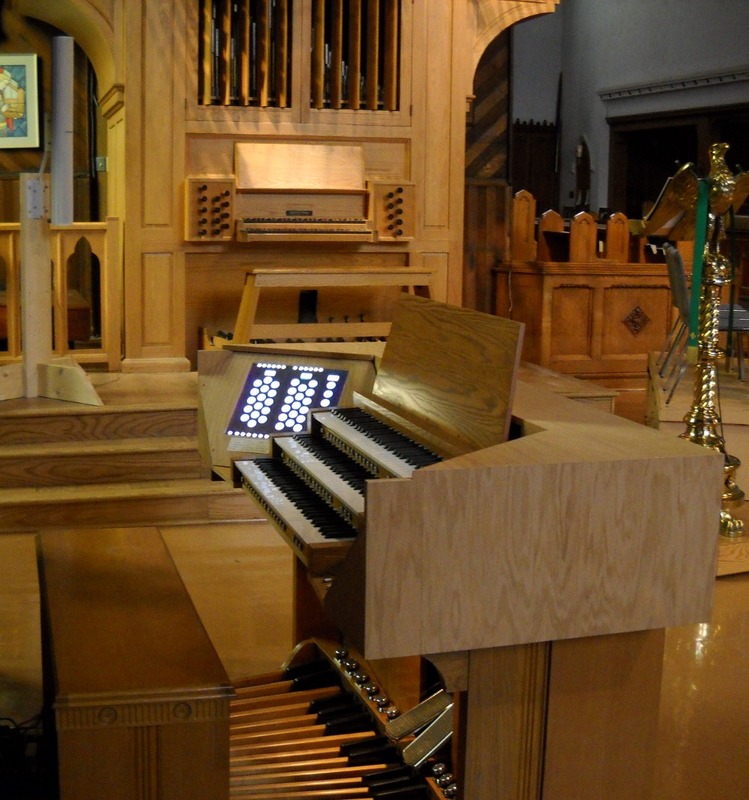 We are fortunate at St John's to have two organs: a mechanical-action pipe organ built in the style of the seventeenth-century North German baroque, and a digital organ voiced in the American Classic tradition, using open source software (jOrgan) and sampled sounds from organs around the world. 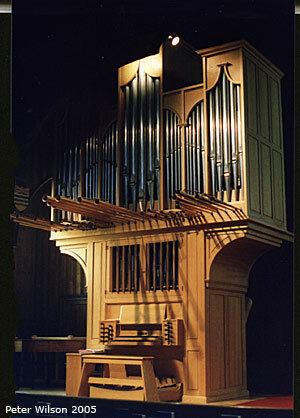 The pipe organ is particularly suited to the music of Bach, Buxtehude, Sweelinck and their contemporaries, as well as music written in the twentieth century as part of the organ reform movement (e.g., Pepping, Walcha, Schroeder). 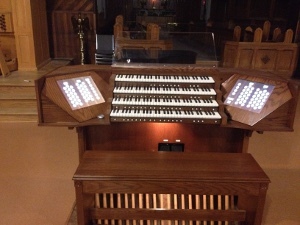 The digital organ contains more symphonic sounds, with several celeste ranks, various solo stops, and an extensive pedal division which includes four 32' stops. This organ lends itself well to music of the Romantic period, especially the French symphonic school (Widor, Vierne, Franck), as well as nineteenth- and twentieth-century English music requiring colourful solo stops (Whitlock, Willan, etc). Hymns and choral accompaniments can be played on whichever organ suits them best. Interested in the story of how St John's digital organ came to be? Click on the link below to be taken to a website that tells the whole story.